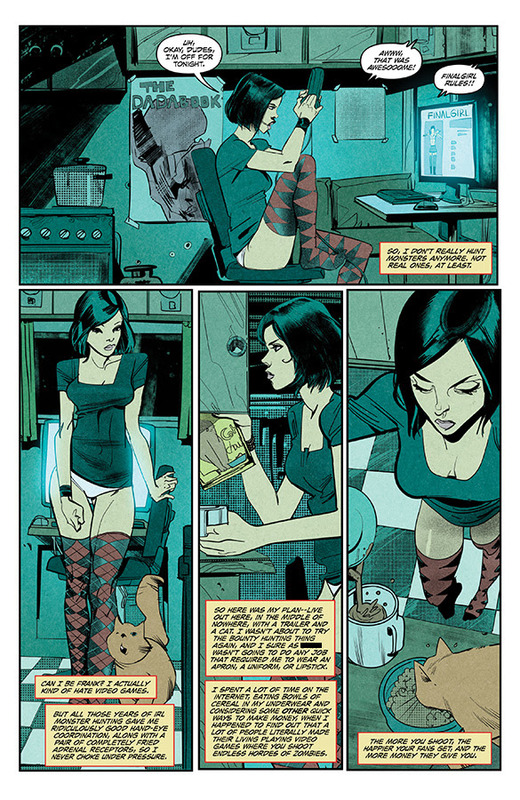 Cassie Hack returns in Tim Seeley’s HACK/SLASH: RESURRECTION, VOL. 1 with Tini Howard as the new series writer along with artists Celor and K. Michael Russell. The trade paperback collects issues #1-6 and hits stores this April. In HACK/SLASH: RESURRECTION, VOL. 1, Cassie Hack has been living off the grid, but when a new monstrous threat arises to torment the kids at Camp Indigo River, it's time for Cassie to pick up the baseball bat once again. HACK/SLASH: RESURRECTION, VOL. 1 (Diamond Code FEB180576, ISBN: 978-1-5343-0666-0) will hit comic shops on Wednesday, April 25th and bookstores on Tuesday, May 1st. It can be pre-ordered on Amazon, Barnes & Noble, Books-a-Million, IndieBound, and Indigo.